Recently there is a small addition on our TheWestAPI which can be used by scripters. The belonging The West API page on this blog will be updated soon. Our TheWestApi.register method now returns a GameScript object. It contains most of the functionality as the TheWestApi. Due to backward-compatibility the usual methods are still there, but are marked as deprecated and will be removed in the future versions. When at least one script is registered to our Api a new interface element shows up. It opens a new window where all registered scripts are located. 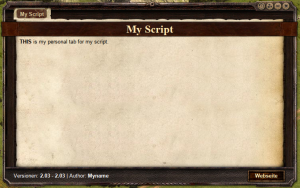 The content of the tab is left to the scripter itself. 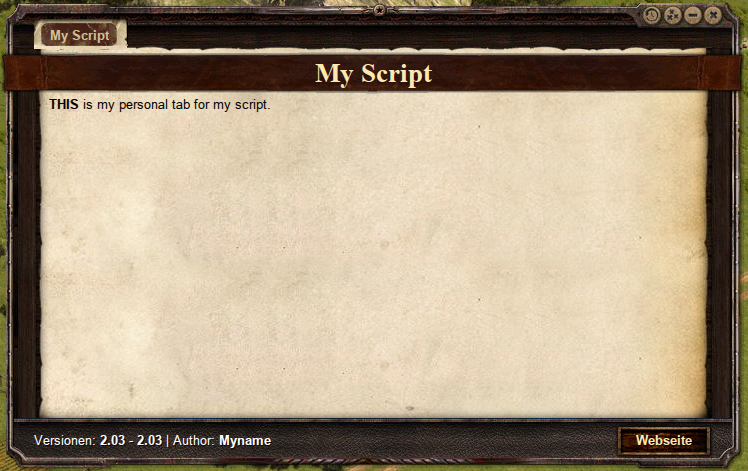 Let us know when you want to have additional features implemented to the GameScript.